Help me raise some funds for this gorgeous mum of three. Katie is mum of Hugh, and now new mum of 25 weeker premature twins Amelia and Hannah, being the supermum that Katie is, Katie travelled throughout her already stressful pregnancy to be there for her gorgeous son Hugh, who has required extensive medical treatment and follow up appointments at Westmead in Sydney after suffering from acute liver failure in May. Being a Canberra Resident and being pregnant with twins, this was not easy on Katie, Daniel, or Hugh. On 30 July, Katie was concerned some thing wasn't right with her pregnancy and so that night went to Canberra Hospital to have the twins checked, she hasn't been home since. 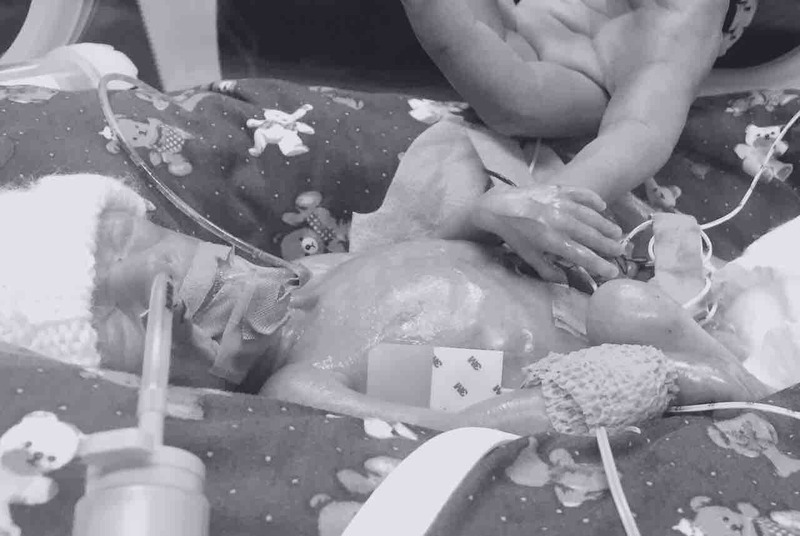 The next day, supermum Katie was flown to Sydney to undergo treatment for what would be an alleviation for her twins Stage 3 Twin to Twin Transfusion Syndrome. Unfortunately due to complications with the surgery, she unexpectedly went through an enduring delivery to welcome her 25 weeker twins on 3 August. As you can imagine it is quite a challenge to be away from home, support networks and her son while Katie (and Daniel when possible) stays in Sydney to be with the twins. Unfortunately, the hospital where the twins are admitted has no accommodation on site for family/patients who need to travel for treatment and the twins cannot be transferred home to Canberra Hospital until they are both stable and NICU beds are available. Any assistance to help Katie and her family to pay for reasonable accomodation and living expences away from home would be appreciated. After a very dramatic few days for mum and dad, Katie and Daniels beautiful girls, Hannah Faith (617g) and Amelia Hope (512g) were born just after 4pm on Thursday 3 August at Royal Prince Alfred Hospital Sydney at 25 weeks gestation. Exactly two weeks later on Thursday 17 August just after 7:30pm, Amelia's heartbreaking struggle ended and she passed away surrounded by the love of her family. Daniel and Katie have hearts that are broken into millions of tiny pieces and yet are fighting on for their gorgeous Hugh and Hannah and in memory of their courageous Amelia. The very rapid and scary descent of Katie's pregnancy that led to the girls being born much too early. The courage of their amazing Hugh who has showed nothing but strength, maturity and compassion during this time. But more importantly the delight that was Amelia herself. From her huge inquisitive eyes to her sweet as anything nose. Her strength and tenacity and willingness to fight until the very end. Katie Daniel, Hugh and Hannah will miss their baby girl until the end of their days. Hannah is trooping along. She is getting bigger right before Katie and Daniels very eyes and showing just what she is capable of. She bosses the nursing staff around and isn't afraid to voice her displeasure. She has a long road ahead of her both in and out of the Neonatal Intensive Care Unit but as a family they will all get her through. For now, Hannah and Katie remain in Sydney and Daniel returns back and forth from Sydney to home with Hugh to be with Katie and Hannah. Lots of people have asked 'is there anything I can do?' and the short answer for now is not really. With Katie's Hubby Daniel juggling work and Hugh, I am sure a meal or two would be appreciated. We welcome donations to the charities Heartfelt, Send Hope Not Flowers, Red Nose, Little Wonder or Life's Little Treasures in honor of Amelia. As well as this current gofundme."